Mike Moody – Made you look. Today, we changed direction. Our group visited several sites in the city of Uhornyky that have received benevolent aide from Dalraida. Our first stop was the site of the new church building. We were so impressed with the progress of the construction and Ivan, the minister of the congregation, was a proud tour guide. They still need over $100,000 to finish the project and we are counting on generous Christians to contribute to this most worthy cause. Next, we went to an emergency childcare facility. When children are in immediate need of short-term care, they are sent here. Because of the facility being quarantined, we were not able to take a tour, but they were so grateful for what we had brought, including fresh peanuts from Alabama! For a change of pace, we ate at a lovely Italian restaurant. The pizza was “duzhe dobre” (very good). Then it was on to a medical training facility where training supplies and equipment had been donated. The administrators of the facility were so grateful for what we had donated. We may never know how many Ukrainians will benefit from our small efforts. Our final stop on the tour was a newly remodeled clinic. The mayor of Ugorniky met us and gave us a personal tour of the building. The donations raised were so very needed to make this clinic a beacon of hope for the community. Across the street, we visited the Uhornyky museum where we learned of the vast history of the ancient city. From a very young America, it was hard to grasp a city that was over 900 years old. That’s right, OVER 900 YEARS OLD! The pinnacle of the day was a group dinner at Churchill with members of the local congregation, our interpreters and us. We sampled several local dishes (spiced baked potato wedges were my personal favorite) and John K “the younger” handed out gifts to our interpreters and thanked the local congregation for their efforts to make our stay pleasant. Valody, am interpreter from our team, presented us with a wood-etches map so that we would always know how to get make to Starry-Lasets. Many hugs followed and a promise that we would continue to work for this admirable group of Christians to grow the Lord’s kingdom in Starry-Lasets, in Ukraine and throughout the world. With just a little time left in the day, several of us ventured into the city square to enjoy our favorite new drink, chocolate tea, at the Lviv Chocolate Factory restaurant. Bittersweet day in Lasets, this was our last day to visit a local school and spend time with children from several grades. The children are so smart and respectful. It was a pleasure to see some familiar faces from previous days and meet some new ones. I’d have to say our favorite class was the second grade. My team of Karen, Simba and myself always gravitate to the younger kids. In our class, we told them about life in America, sang songs (Simba ever coming closer to his goal of all Ukrainian children knowing the chorus to “500 miles”), made many animal noises (they would say the name of the animal and we would help make the sound) and all the kids gave me five (my favorite game with the kids at Dalraida). 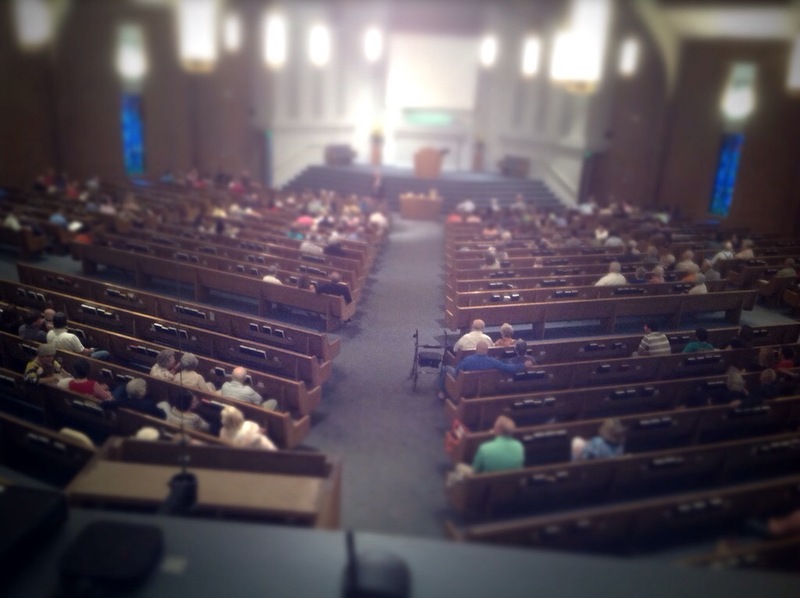 The final night of VBS and an adult program grew in numbers as well. There were 24 younger kids, 20 teenagers and six adults. Tonight’s story was about Naaman. After Simba did a great job telling the story about Naaman and relating his obedience to how we must be immersed in order to be healed from sin, we played two games. The first involved dividing the group into teams and having them race to a table where they would have to dip in the river Jordan seven times. There was a special-needs child there who could not participate so we made him the Captain and every time the kids finished dipping in the river, they would have to give Captain Alex a high five. He loved it and every child participated. The other game was Q&A. I would ask questions from Simba’s story and, if they got it right, I would toss them a piece of gum. It was great fun as they scrambled for the flying candy. We made some real friends and, hopefully, some lasting impressions. May God bless this work and allow these seeds we have planted to grow. Another day of visits to the schools of Frankivsk. We had so much fun telling the class about American culture. Karen and I attempted Ukrainian phrases much to the delight of the class. Ukrainian with a dose of Southern. Simba and I continued to teach every class the chorus to the song “500 miles.” Simba is determined to have every child know this. I don’t know why but I want him to reach his goal. We seem to stand out as Americans because, as we walk down the halls, the children live to come up to us and say “hello.” We answer back “Dobreday!” This means hello in Ukrainian. We had another great turnout at our VBS and adult class in Ivanno-Frankivsk. Karen’s class doubled in sized from last night to 12 kids. Scott Lockwood and Chris Mulkey had seven in the adult class and both were impressed with Valody, one of male interpreters, who finished the evening by answering questions from the crowd and using much scripture in the process. Our teen class stayed at around 12 kids but most of them were knew. I covered the story of Jonah (the kids pronounce it Yonah) and, with the help of Simba, Will Tucker and Caleb Colquitt, played a fun game with the kids where they were divided up into teams and answered questions from the story for points. The finals question, based on an analogy that Jesus saves us like Jonah helped save the people of Nineveh, was how is one saved? This stumped the kids who first answered, “by praying” or “go and tell the priest your sins.” We then read Acts 2:38 and finally one child said, “be baptized.” We felt like that was a great breakthrough. Tomorrow will be our final round of school visits and, in the evening, Simba will he talking to the kids about Naaman. We feel so blessed to be a part of this great work. If anyone ever wanted a true appreciation for all the blessings we have in America, come to a country like Ukraine. The people, while stoic on the outside, will melt your heart with genuine kindness and friendship. Today, the real work began. After another wonderful 8 AM breakfast at Churchill, a restaurant named for the great British Prime Minister, we separated into our assigned groups. Our group, consisting of Andrew “Simba” Gifford, Scott, Ainsley and Alex Lockwood, Chris Mulkey, Karen and myself, was accompanied by our interpreters; Natalie, Volodymry and his wife, Julia. We travelled to the town of Starry-Lesets where we visited several classes to tell them about life in America. It was wonderful! The children were shy, at first, but then began to open up. They had been learning some English and were proud to say “hello” as we we would greet them. The older kids could ask questions about Hollywood and other interesting topics of our lives. We brought posters that showed different aspects of life in Alabama. The school provided lunch of borscht soup, mashed potatoes, salmon patties and pickles. With the exception of the salmon, this is a common meal here. It was delicious! After a brief rest back at the hotel, we were ready for the nightly Bible classes that held in Lesets, another town away. Volodymry and Julia had been promoting our arrival and, from what Scott told us, the turnout was great! We had seven adults, 12 teenagers and six younger people. All classes told the story of Moses. Chris commented that the adults would quickly ask questions that took them off topic but where appreciated because it gave Chris and Scott opportunities to have private studies with them. Chris brought them back on course and the adults were the last group to leave the building. Karen and Ainsley worked with the little kids and, after covering the story of Moses and the Ten Commandments, had the children working on a craft the group had brought. Simba and I thought the teenagers, a tough group to crack, but by the end were making real connections. This has been a full and rewarding day. We just had our end-of-day meeting and were further encouraged by all the good work that was accomplished by our teams. It’s 10:30 PM, Karen is fast asleep and I’m pretty tired also but we are anxious to get to work in the morning. A special thanks to all those who contributed to help make this trip possible. Your contribution will pay dividends long after we have left Ukraine. After 24+ of travel to reach our destination, we arrived in Ivano-Frankest. Our first day was filled with meeting many wonderful people and adjusting to living eight hours ahead in time. With a little taste of home (sort of). Our breakfast was in a downstairs restaurant called Churchill. Then, it was off to church. The church was held in a non-descript building downtown. We loved worshipping with fellow Christians in Ivano-Frankevsk. There were also students from Ghana, Africa. The weather may have been colder, but the people made us feel warm inside. After a wonderful meal, we enjoyed an afternoon celebrating the 602th anniversary of Starry-Lasset. There were many performances of children and adults and John was honored for his great works of the community. We can’t wait to visit the schools tomorrow and introduce the kids to America. Society is getting bad when you can’t even leave work without a dance fight breaking out in the parking lot! David Shannon, president of Freed-Hardeman University, spoke during the Dalraida church of Christ summer series and posed the following questions with scripture to answer them. 1. Are you a loner? Proverbs 18:1 — Whoever isolates himself seeks his own desire; he breaks out against all sound judgment. 2. Are you a bad listener? Proverbs 18:13 — If one gives an answer before he hears, it is his folly and shame. 3. Are you quick to give an opinion? Proverbs 12:23 — A prudent man conceals knowledge, but the heart of fools proclaims folly. Matthew 5:9 — “Blessed are the peacemakers, for they shall be called sons of God. Proverbs 20:3 — It is an honor for a man to keep aloof from strife, but every fool will be quarreling. 6. Do you cut someone down? Proverbs 12:18 — There is one whose rash words are like sword thrusts, but the tongue of the wise brings healing. 7. Do you explode when mad? Proverbs 18:19 — A brother offended is more unyielding than a strong city, and quarreling is like the bars of a castle. 8. Are you too blunt? Proverbs 29:11 — A fool gives full vent to his spirit, but a wise man quietly holds it back. 9. Do you drop the ball? Proverbs 10:26 — Like vinegar to the teeth and smoke to the eyes, so is the sluggard to those who send him. 10. Are you a selfish person? Proverbs 11:26 — The people curse him who holds back grain, but a blessing is on the head of him who sells it. 11. Do you make fun of people? Proverbs 17:5 — Whoever mocks the poor insults his Maker; he who is glad at calamity will not go unpunished. Proverbs 10:6 — Blessings are on the head of the righteous, but the mouth of the wicked conceals violence. 13. Can you not keep a secret? Proverbs 11:13 — Whoever goes about slandering reveals secrets, but he who is trustworthy in spirit keeps a thing covered. 14. Are inflexible and controlling? Proverbs 14:4 — Where there are no oxen, the manger is clean, but abundant crops come by the strength of the ox. 15. Are you an insensitive person? Proverbs 27:14 — Whoever blesses his neighbor with a loud voice, rising early in the morning, will be counted as cursing. Proverbs 25:20 — Whoever sings songs to a heavy heart is like one who takes off a garment on a cold day, and like vinegar on soda. 17. Do you use other people? 18. Do you have uncontrolled anger? Proverbs 19:19 — A man of great wrath will pay the penalty, for if you deliver him, you will only have to do it again. Proverbs 18:23 — The poor use entreaties, but the rich answer roughly. 20. Do you have a critical spirit? Proverbs 16:21 — The wise of heart is called discerning, and sweetness of speech increases persuasiveness. About to depart from Atlanta to London. 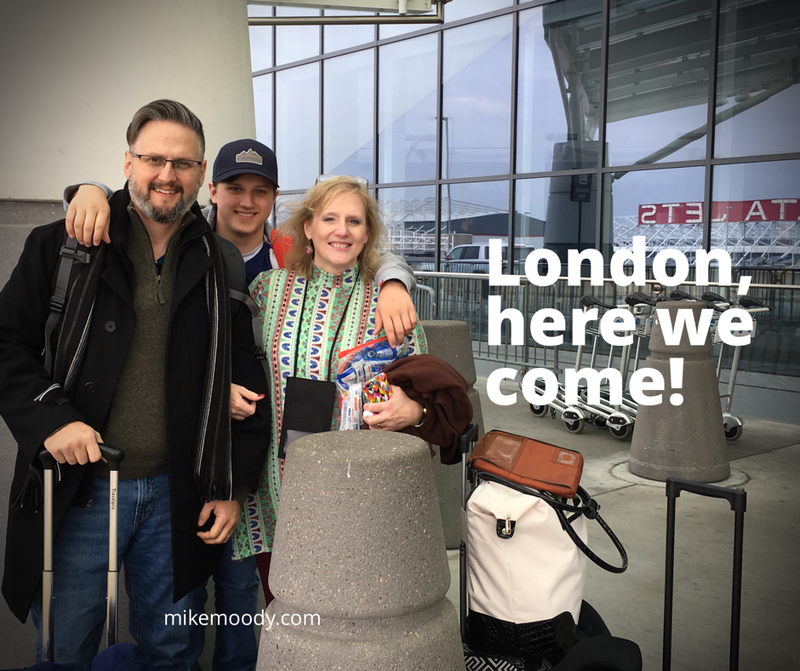 We are so excited to be heading over the pond! I recently had the opportunity to travel around Alabama and photograph the judging of the annual Farm Of Distinction contest. A wonderful time meeting outstanding farm families.